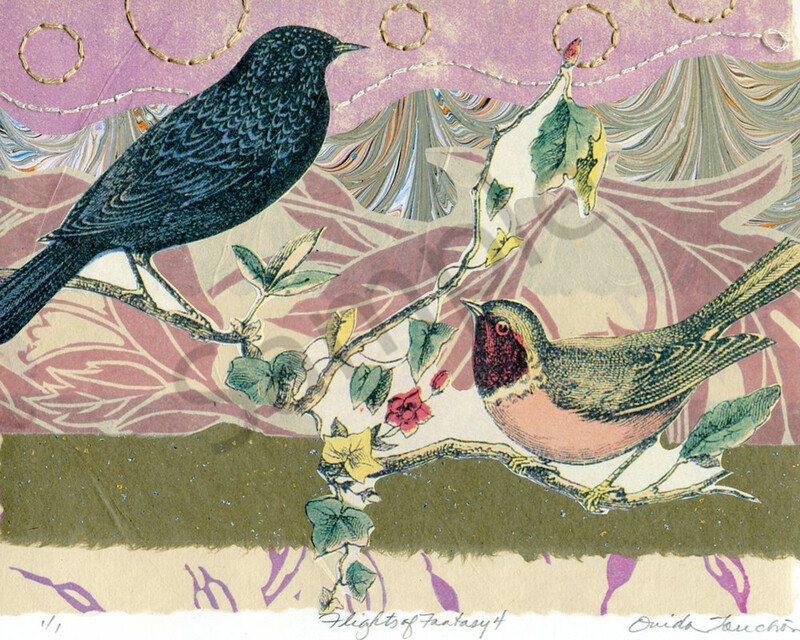 A small chine colle collage of songbirds, printed flora, vintage fine paper fragments and the addition of hand stitching on the surface in cotton thread. Each of these chine colle collages is hand printed and collaged with a lot of colorful paper fragments. The stitching is a recent innovation and I am enjoying producing a few with this experimental surface embellishment. Available as original art for free shipping. Your shipping charge on check-out will be refunded to you in the artwork shipment box, by check. In other words, it ships for free!! Matted size 14x11, mat is neutral white and acid free.